Do you realize that you spend 30% of your day in your bed? This is our newest and best most luxurious cover. This mattress covers are the best in quality. Made in the US with high end, hand picked bamboo material for your superb feel and comfort, which you very well deserve. A good sleep is needed to feel rejuvenated and maintain good health. 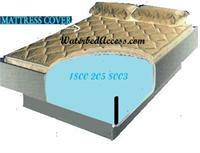 Enhance your hardside water bed with this Bamboo Euro Top Mattress Cover which will grant you the comfort for a good night sleep. Filled with super visco gel which makes this cover extremely comfortable. These high end materials will help keep the sleep surface more breathable and more comfortable. Also our cover has a top which will unzip off from the bottom without having to drain your mattress. 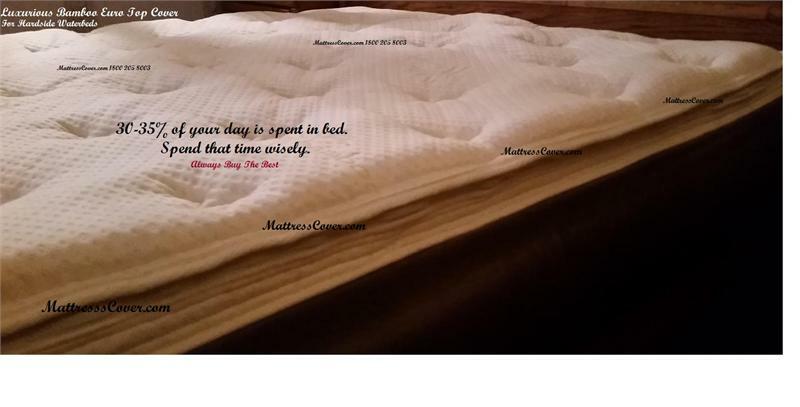 Place the mattress cover into your waterbed frame. Follow heater instructions for your heater. Any questions just email or call. *Looking for a different size? S/H cost is included for the 48 U.S. States.